Everything from this location has been moved over to our GOOGLE CLASSROOM. 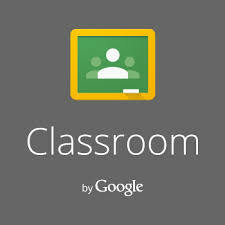 Clicking on this icon will bring you to our Google Classroom. Please bookmark it for future reference. Most evenings you will see that I post assigned work for the day under the section called "! Today's Work". If your child is absent, checking Google Classroom is a great place for you and your child to find work that they missed during the day! Your child may be prompted to sign into the Google Classroom using their school Google credentials. If you would like to receive email notifications each time I add something new to our Google Classroom, please send me your email (via your child's agenda) to subscribe. You can unsubscribe at any time.